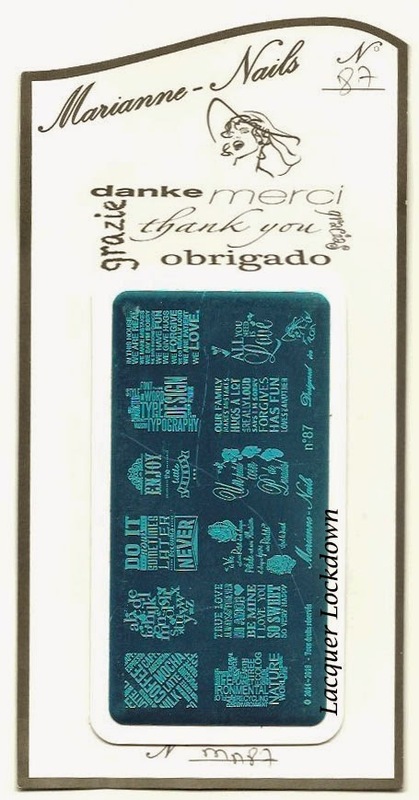 Run by the capable, kind, and creative mastermind Ghislaine DeBray Marianne Nails is the France based nail art stamping company that hit the scene a little over a year ago and has been thriving ever since. From my first review these plates have been whimsical, fun, and unique. The etching was superb and the customer service flawless. To date Ghislaine has released somewhere around 95 plates not including the XXL plates. The first series afforded us a more welcome to my brand feel. Different from what other companies offered with a bit of bread and butter thrown in for good measure. This second release offers us a bit more insight into Ghislaine's creative drives while showing us just what happens when she turns up the dial on her passion for design. I don't know about you but I'm loving it! This time around Ghislaine changed up her whole visual scheme for the plates. Instead of coming with the bubblegum pink backing of the first series with the blue and brown external envelopes we get a whole new concept. 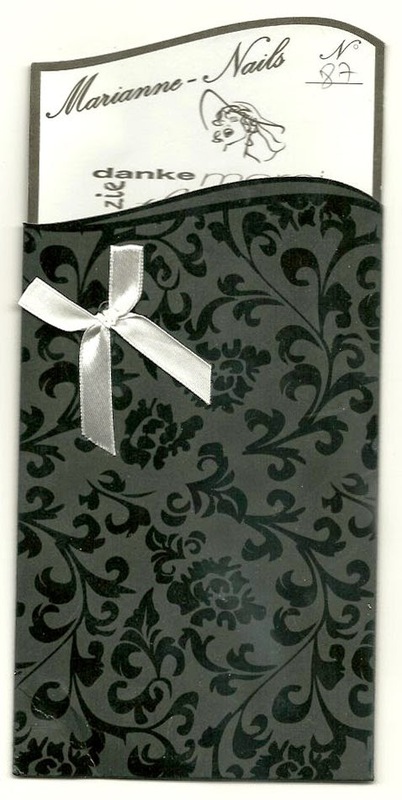 Plates in this release come in the large black and white embossed and be-ribboned envelopes you see above. They are attached on white sliding paper placards that are removed to reveal now white backing. The whole feel of the plates is super duper elegant. When you pull the sleeve out of cover the plate is attached to the card with double sided tape. Each card contains the individual number of the plate as well as the run number. 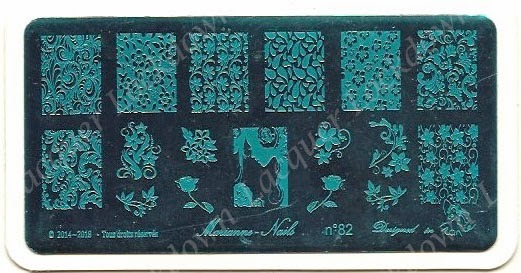 The image size on Marianne Nails plates tend to measure 2.0 x 1.6 cm length by width but they can and do get larger with the infinity/landscape/buffet style plates. These days it's a bit of a breeze for me to show you comparisons of different image sizes across brands since I made my large chart. For now I'll mention my common brands as a point of comparison, but if you are interested in a broader comparison across many brands you can click here to view a comprehensive chart I created with measurements from most brands of stamping plates. As usual with my reviews I swatched out the images I using Wet N' Wild Black Creme and either my gold standard XL marshmallow stamper from Bunny Nails (4 years old) or as in this case my marshmallow stamper from Magno Nails (larger diameter for stamping). 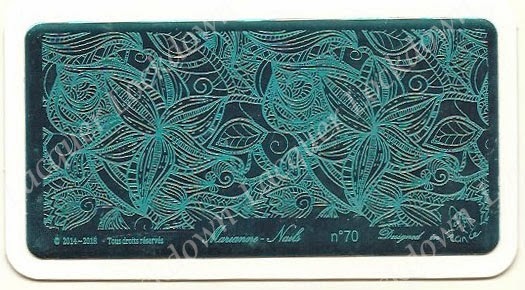 I only switch to Konad Special Stamping polish or Mundo de Unas in the event I am unable to pick up an image which I didn't have to do with any of these images. 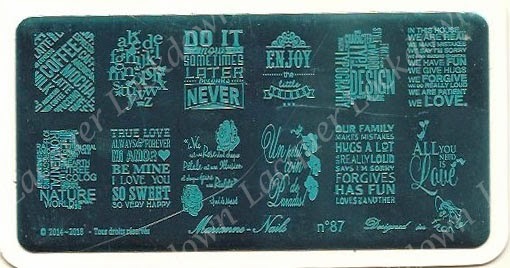 I'm watermarking my swatches more consistently now because I have found my swatches posted on various sites with my watermarks removed as if they were someone else's. I put a lot of hard work into these reviews and having someone else take credit for that work isn't really something that appeals to me :/ But let me know if you think they should be a little less opaque since I'm playing around with them a bit to see what will work best. 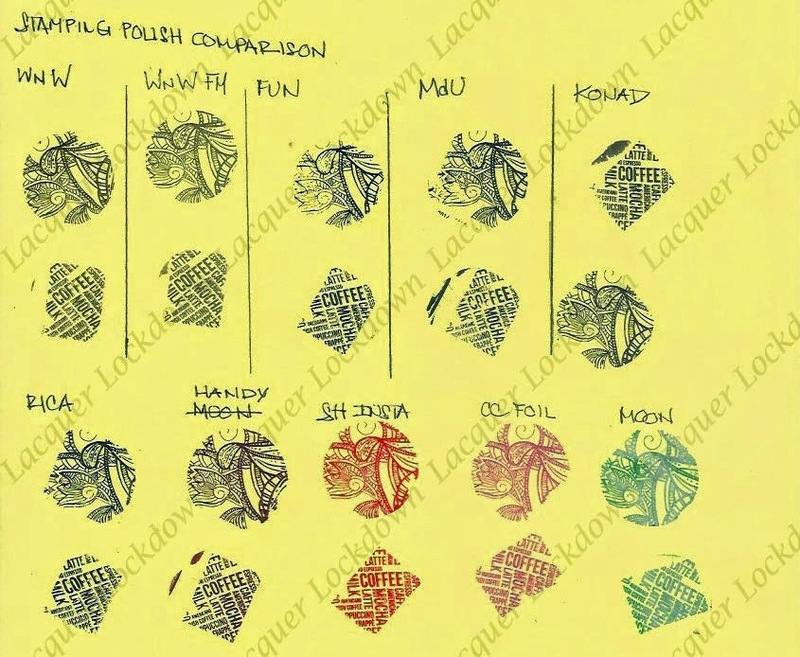 Next up is the stamping polish comparison which is still highly requested. If you have other brands of polishes you'd like me to include in the future let me know and if I have them I will add them in! This section is just what it sounds like I compare how 2 selected images across the plates I reviewed stamp across a variety of brands of polish. 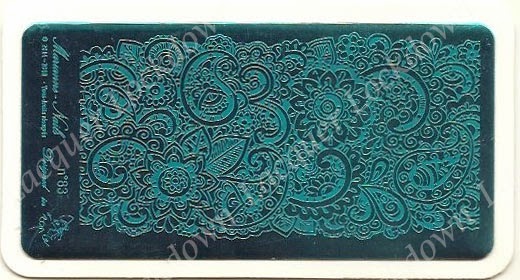 For well etched plates this usually makes no difference i.e. you will see the images stamp crisply across every single brand of polish including those that are not created with the intention to stamp. 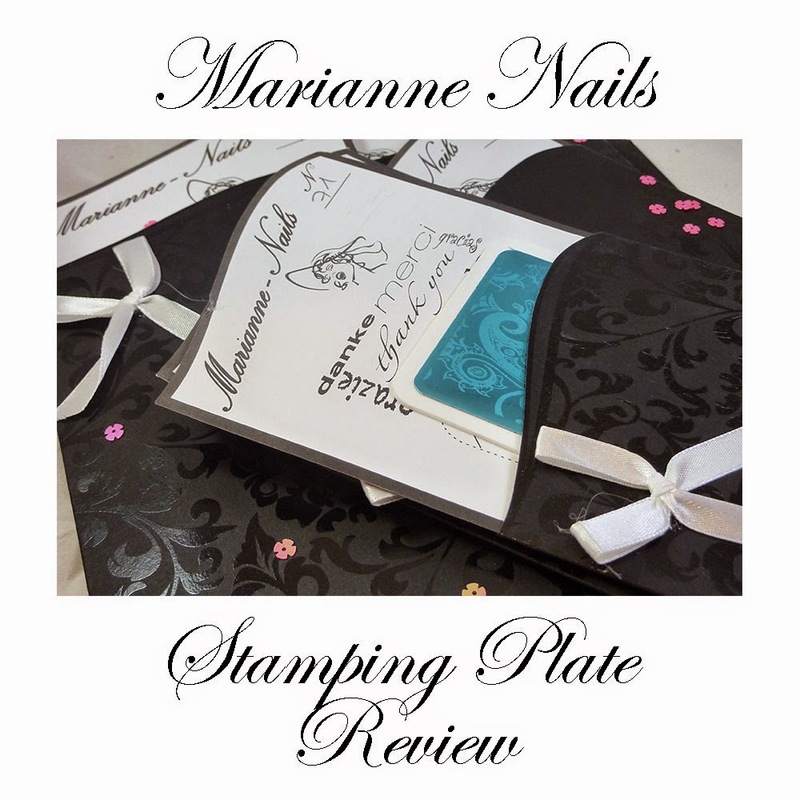 As you may know from my prior reviews I've never had an issue with the etching of plates I received from Marianne Nails so as you can image these swatches are also quite flawless across all brands. So here we are at the finish line. I have to say that this collection from Ghislaine in general really made my heart soar. If the first collection was an introduction to her style the second is an homage to her artistry. A lot of plates in this second set made me go "I absolutely have to have this plate or die trying!" It was that serious and when I look at the swatches I know why. Lol I tried to choose plates here across a variety of styles that would appeal to different tastes but the truth is everything made by this company is superb. The level of detailing that goes even into the packaging is beyond astounding. And I can say with confidence that this is the ONLY company on the market that personalizes each individual plate shipped to buyers to this degree. Combine that with flawless etching, eye catching designs, reasonable pricing, and insane customer service and you have to ask yourself what in the hell you are waiting for if you haven't bought these plates already! Has it been a year since I discovered this brand? I don't think so but I seriously cannot wait to see what more Marianne Nails has in store for us because if prior collections have been any indication its going to be INSANE. 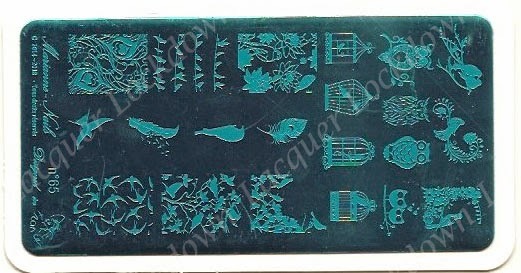 I also can't wait to create some nail art with these plates especially the avian plate and the landscape ones so stay tuned for that. 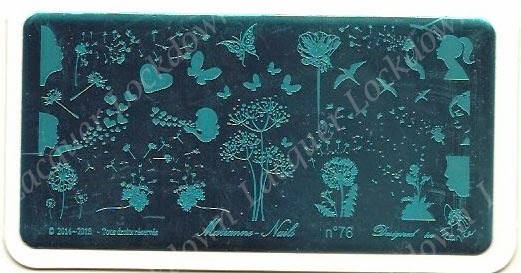 You can purchase Marianne Nails plates on her webstore (click the link in pink). Each plate retails for 6.50 Euros (which let me tell you is significantly cheaper than MOYou London prices since its in Euros and not GBP). I can't wait to get paid... oh how I love how you enable my obsession! I need to look into getting some of these plates! Thank you for showing all the different polishes and how they stamp.